Earlier this year a para classification seminar was held concurrently with the 2017 Oceania Para Championships over five days from the 10-15 of April in Suva, Fiji. Lead classifier Dr Katrina Forster highlighted the importance of the seminar to Oceania. Standing from left to right: Manu Tamata (Vanuatu), David Brown (AUS), Tekoaua Tamaroa (Kiribati), Grant Wilson (NZL), John Poulivaati (Tonga) Patrick Wuertz (AUS), & Christian Holtz (AUS). 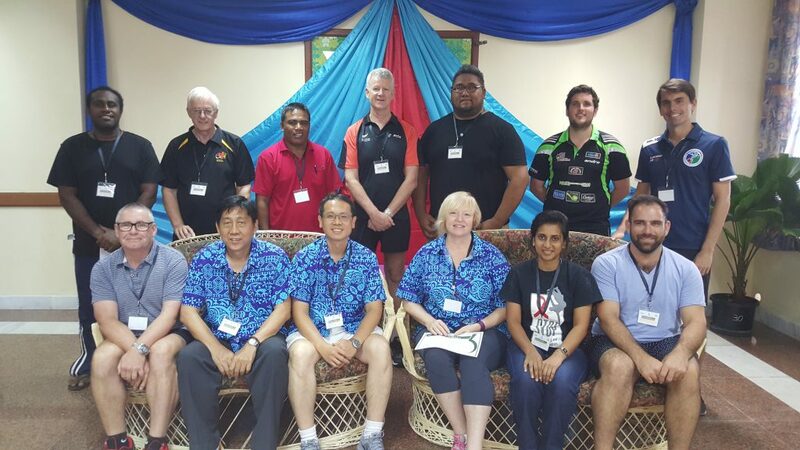 Sitting from left to right: Richard Horwood (NZL), Tah Fatt Ong (Malaysia), Dr Sheng Wu (Taipei), Katrina Forster (AUS), Sharlene Nand (Fiji) & Aleem Khalfan (AUS).